We live in a rapidly evolving technological world. Parents and caregivers are struggling to find the balance between family connections and digital connections. Parents worry about the influence of social media and gaming. This training answers the following: (1) Do parents need to worry about technologies influence? (2) What are the benefits and risks of social media/gaming/internet use to our children/teens? (3) What can a parent do to facilitate healthy relationships with their children/teens to mitigate the negative aspects of social media/gaming/internet usage? This is a 2 hour seminar. Please call our office if you would like this seminar offered at your agency. Connecting With Your Child is offered for parents who have adopted or will be adopting. The dream of becoming a parent has become a reality for you, but you are concerned that you will have or are currently facing difficulties bonding with your child. Whether you have adopted an infant or a child who is older, this training is designed to help you develop healthy attachments in your family. Please call the office for upcoming dates. If you are a personal or professional care provider to someone with dementia you know the tremendous responsibility that comes with caring for someone with dementia. This training provides information for professional and personal care providers to aid in caring for those impacted by dementia. The training provides a brief overview of the different forms of dementia including; Alzheimer's, Vascular, Parkinson's, Lewy Body, Frontotemporal, and Huntingtons Dementia. The training also provides participants with behavioral interventions for depression, anxiety, verbal and physical aggression, and refusal behaviors. Finally the training provides coping strategies for the clinician and family care providers.  This is a seminar that is offered several times a year at Harborside Wellbeing and at community locations. Please contact the office if you would like this seminar offered at your agency. Offered for parents/caregivers who are expecting or have young children (7 yrs of age or younger). Proactive Parenting Training problem solves the challenges commonly encountered with young children. The training provides practical suggestions for parents to help with the following (but not limited to): separation anxiety, night time waking and difficulty going to sleep, picky eating, adjusting to a new sibling, and behavioral concerns. The training answers questions (i.e why can my child sit for hours in front of the tv, but not sit still with a book?) and gives parents the tools to help their children develop relationship skills, build a foundation for academic success, and develop healthy sleep and eating patterns. Please call the office for upcoming training schedule. A child's brain undergoes amazing development in the first few years of life. Although a child comes into the world with their own genetic predisposition, there is much that parents/caregivers can do to provide an environment that promotes happier, healthier, smarter children. This is a 2 hour seminar to help the attendee learn useful information to help you maximize your child's brain power. Please call for date and time.